Have you ever wondered what will change in terms of security and privacy with the advent of 5G? The number of connected devices will grow considerably and operators will have great power in their hands: our data. Filip Chytrý, IO security consultant at ENISA and Director of Technical Sales and Threat Intelligence at Avast, spoke to us and revealed his concerns regarding security in the age of 5G. Who will protect our data? 5G is not just a super fast network (up to 1.4Gbit/s download) that will allow us to enjoy multimedia content to the fullest. It will result in an increase in the number of connected devices and the consequent centralization of our data. Currently operators and services are diversified which allows us to connect using different systems. This in turn diversifies the origin of our data. By connecting all devices, from home to car, to a single account, operators can see all the movements we make. The smarter our homes and habits become, the easier it will be to sketch our day for those who have the data. What time do we get up, drink coffee, drive, travel to the office, listen to music and watch movies or TV series at night. Centralizing power in the hands of a few companies is what consumers should be concerned about. A great responsibility, that of our data, could end up in the hands of a few. But is anyone asking this important question? It's not clear right now. According to Filip Chytrý, no one is taking care of it or trying to create a process, a support structure; nothing has been officially decided about it and this should worry us a bit. Various regulations in recent years have led to a reduction in the costs of telecommunications services for Internet, calls and SMS, but, at the same time, have limited their competitiveness. Therefore, in terms of technology and innovation, Europe is slowing down compared to countries such as the United States and Asia. The money available to the EU to invest in 5G simply does not match that of other countries. It is not easy to understand what will happen to countries that are not able to keep up. If the late arrival of 4G in some countries did not affect its destination (in Ukraine 4G technology arrived a few years later than in the rest of Europe), with 5G the consequences could be much more obvious. The speed difference will be enormous and the automation options seem to be almost unlimited. There will probably be big differences in terms of access to knowledge and information, which in turn could make these countries not as competitive as others. For the time being, however, these are just assumptions. 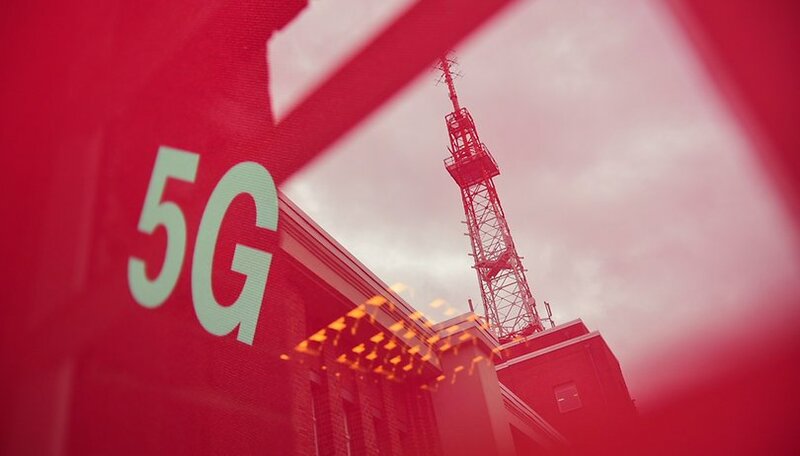 In any case, it will take time to see the widespread availability of 5G; in 2020 it will probably still be accessible only in major metropolitan areas. In the meantime, we hope that institutions will be concerned about the issue of security and privacy, which, for the time being, does not appear to be being adequately addressed. What is your opinion on the matter? Do you have privacy concerns with 5G? Let us know in the comments below. I use a VPN TunnelBear to ensure my online security and integrity of my transactions and accounts. It is true that a VPN doesn't protects against identity theft, so I am always very careful about what information I share to whom, and in general how much of my information is available to anybody else. I also keep my devices free from malware and bloatware. How would access to 5G provide access to knowledge and information not available to people with 4G or various other forms of internet service? The writer might want to look up the word hyperbole.